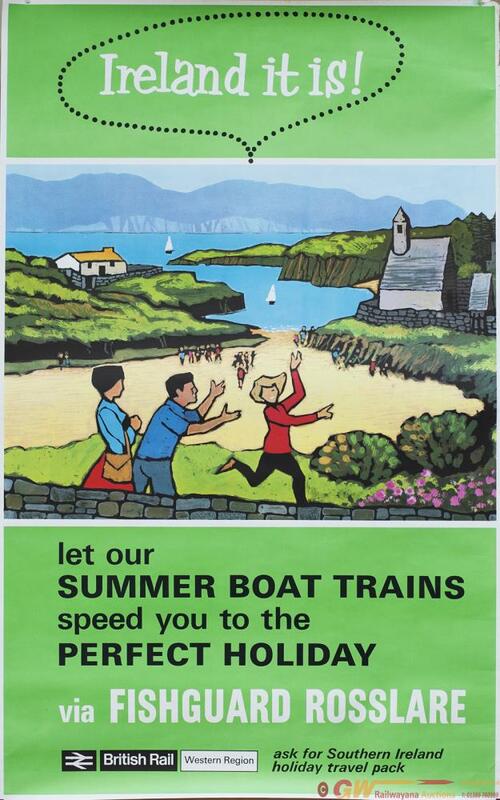 Poster BR-W IRELAND IT IS FISHGUARD ROSSLARE LET OUR SUMMER BOAT TRAINS SPEED YOU TO THE PERFECT HOLIDAY. Double Royal 25in x 40in. In very good condition.